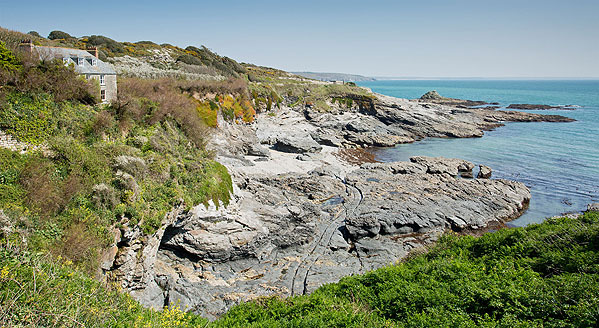 Prussia Cove has 4 named coves . Bessy's Cove is an attractive rocky Cove with a small amount of sand at low tide - popular with the locals . Named after Bessy Burrow a local innkeeper who dealt in smuggled brandy . Prussia Cove ( formerly Porthleah Cove ) was named after a notorious 18th century smuggler John Carter ( the 'King of Prussia' ) who ran his family business from this area.